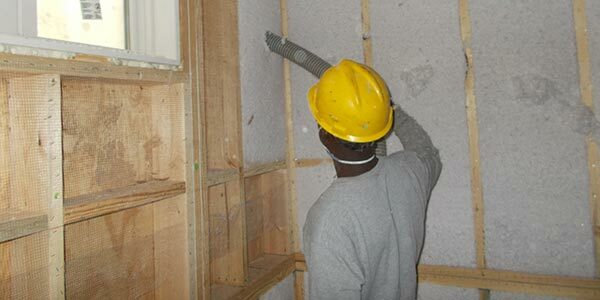 The Blow‑In‑Blanket® system, or BIBS, gives each building a custom-designed, seamless, thermally efficient, sound‑reducing blanket that completely fills any void. 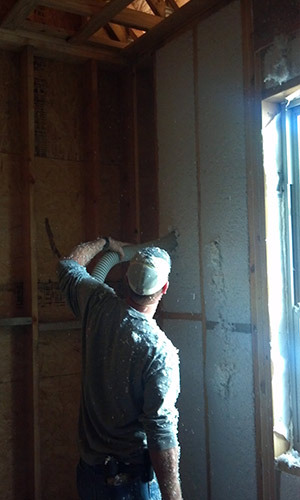 BIBS is a patented process that blows fiberglass insulation into cavities behind netting. The process requires installation techniques designed specifically for BIBS. 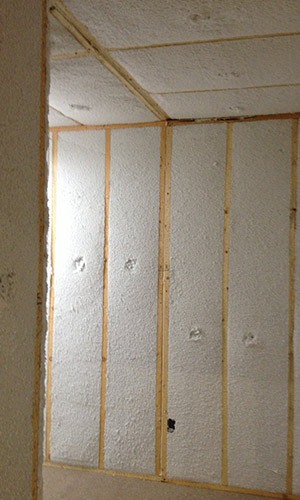 When installed at recommended density levels, it yields an R‑15 in 2"x4" construction and an R-23 in 2"x6" construction. 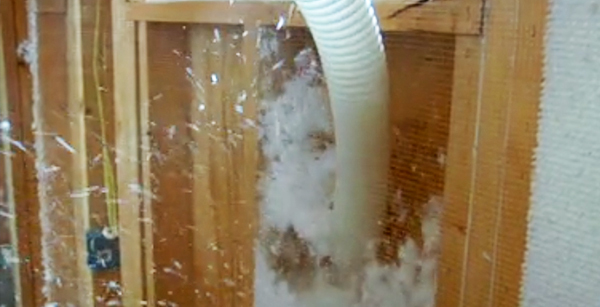 National laboratory tests show the Blow‑In‑Blanket® system reduces air infiltration up to 68% over conventional batt‑type insulation. 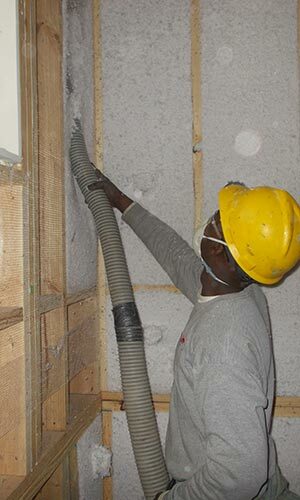 Because Blow‑In‑Blanket® system uses higher density insulation, it is able to deliver higher R‑Values. The Blow‑In‑Blanket® system completely fills around objects inside the wall cavity, resulting in excellent sound control. The patented process of injecting the fiber behind a dust free netting eliminates settling. 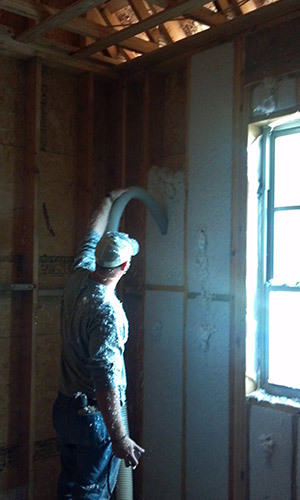 The Blow‑In‑Blanket® system, using fiberglass insulation, meets HH‑1‑1030B Testing Criteria for smoldering combustion and ASTM E 136 for non‑combustion.